The AKIN family is one of Turkey’s most renowned textile manufacturers. In an effort to address some of the difficulties and challenges associated with the manufacturing of their main product, shirts, in 1989 the company shifted its focus to developing and constructing machinery to assist in shirt and textile production. Using its vast experience in clothing manufacturing, AKIN designed machines to aid and improve shirt production and those machines are sold today to textile manufacturers world-wide. With almost 30 years of experience, EPA has successfully addressed and resolved textile manufacturing issues and is an innovative leader in this field. 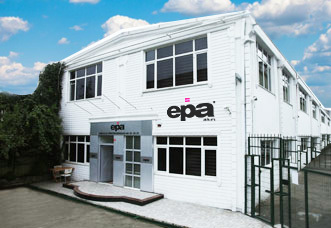 The EPA AKIN brand was registered in 1989 and continues to provide excellent service and state-of-the-art machinery to the world’s most renowned leaders of shirt manufacturing. EPA AKIN currently exports textile machinery to 50 countries. We thank you for your trust in our products and assure you we will continue to strive to improve our machines to help you improve your business’ growth. 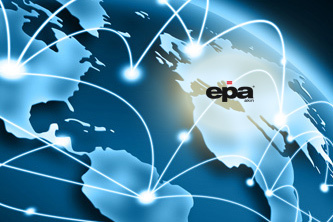 With almost 30 years of experience, EPA has successfully addressed and resolved textile manufacturing issues and is an innovative leader in this field. 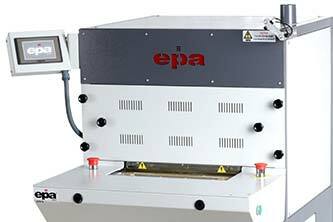 EPA AKIN has been advancing shirt automation by designing and developing machinery for the industry since 1989. Our company’s top priority is to produce flawless shirt manufacturing machinery for our customers. As a result, our commitments center around producing advanced machinery for the shirt automation sector. We market and sell our products to the largest shirt manufacturers around the world, while maintaining our small company responsiveness and personal sense of customer service. EPA AKIN is a professional company that boasts a knowledgeable, educated team capable of bringing you impeccable service coupled with boundless understanding of the industry. Our familiarity with all aspects of the manufacturing process allows us to provide our customers with an exceptional purchase experience, from pre-sale consultations to post-sale support and service. At EPA AKIN, we consider each of our customers to be part of our family. 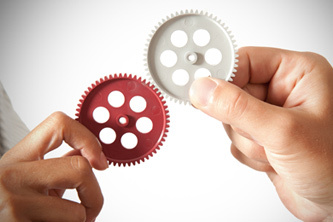 The purchase of an EPA AKIN machine solidifies a partnership between our company and yours and we work to foster long-lasting relationships for years to come. Our supportive, experienced customer service department caters to our customers’ needs and provides timely and consistent communication to ensure your complete satisfaction with our products. This focus on customer service and support has been the basic principle between our company and our clients and is the foundation of our success. We are committed to providing you a consistent service around the globe. Our free online consultation service will assist in finding a solution for every customer, regardless of location. Our representatives work to meet your support needs as quickly as possible to get you back up and running. We pride ourselves on providing customers with great service and that is achieved with the assistance of technology, as our support representatives are available online or by phone. In order to be competitive in today’s market, we provide a flexible and efficient approach to meeting your production machinery needs. 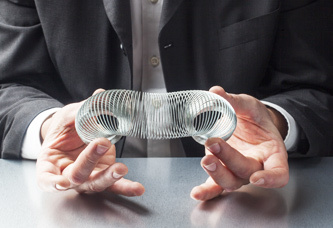 Our pioneering engineering, research and development, and understanding of the latest technologies are applied in an effort to produce machines that specifically address your needs. 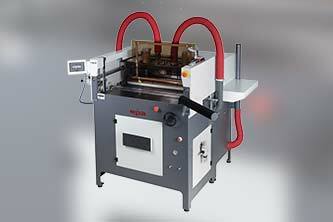 Our business model has allowed us to develop inventive machines while maintaining excellence in our production line. We are one of only a handful of ISO 9001 compliant companies in the sector and we are committed to manufacturing quality products for our customers. In order to maintain our high level of reliability and consistency, our emphasis is on dedicating ourselves to our customers and building long-term relationships with them. This philosophy puts our customers’ satisfaction as our first priority and that satisfaction is what we measure our success upon. We remain adaptable to all the new technological developments and advances and incorporate those into even better products for our customers.